Diana has been in naturopathic and homeopathic practice since 1999. 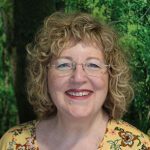 She specialises in chronic disease and utilises a combination of natural supplements, nutritional medicine and homeopathic remedies with the aim to provide her patients with rapid but gentle improvement. Diana focuses on the connection between the physical, psychological and inherited aspects of each patient to help create overall health & wellbeing. A lecturer at Endeavour College of Natural Health since 2002 (Head of Faculty 2003-2004), she continues to lecture on a sessional basis. Diana also runs seminars and courses extensively throughout Australia and internationally. Formerly Diana has been Chair of the Course Advisory Committee (Homeopathy) at Australian College of Natural Medicine, President of Australian Homeopathic Association, State representative on National Council of AHA, Director of the Australian Register of Homeopaths, Editor of Similia, Journal of AHA and she remains on the peer review panel.